HomePast Events2015 EventsIABA Chicago’s Annual Gala is only two months away! Do you have your tickets? IABA Chicago’s Annual Gala is only two months away! Do you have your tickets? 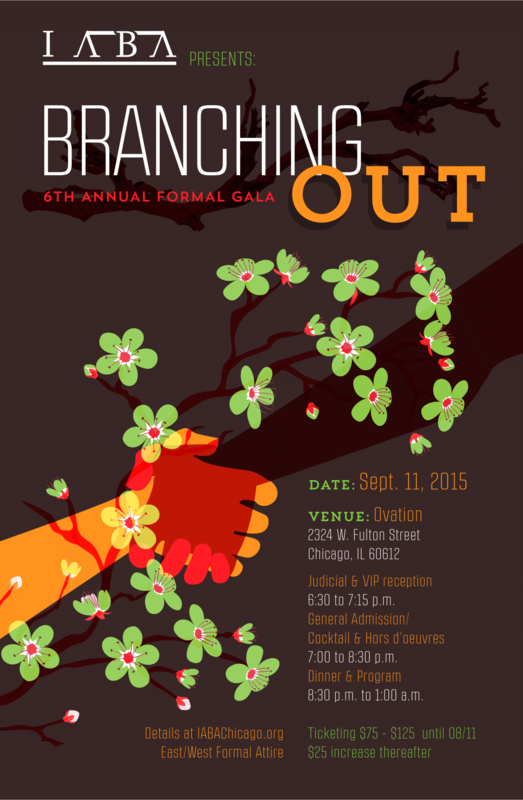 IABA Chicago's 6th annual formal gala will be held on September 11, 2015 at Ovation Chicago. The annual gala is IABA Chicago's biggest event. This year's gala will feature a special guest keynote speaker (to be announced), cocktails and hors d'oeuvers, full dinner, and an open bar. The annual gala is not only a celebration of the accomplishments of our community; proceeds from ticket sales and sponsorship will held fund future IABA Chicago sponsored CLEs, speakers events, and networking opportunities. Tickets for the annual gala are now on sale! (click here to buy tickets). IABA Chicago is also seeking sponsors for the annual gala (click here to read about sponsorship).